Designing Libraries - The Hive at five: where are we now? The Hive at five: where are we now? 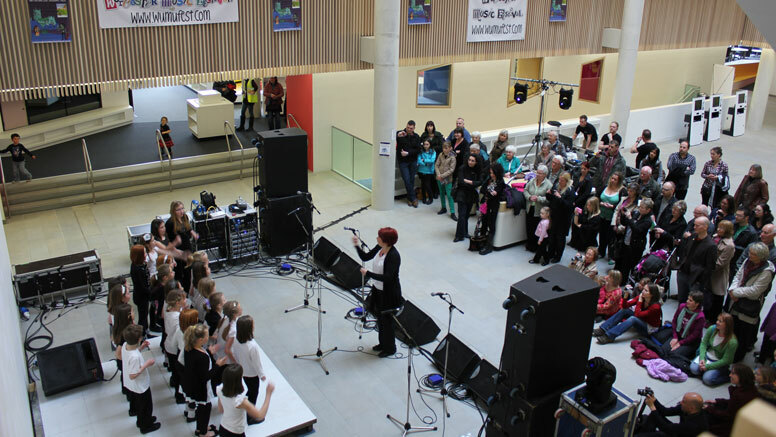 The Hive in Worcester is a pioneering partnership between a university and a local authority with a shared belief in learning and inclusion. 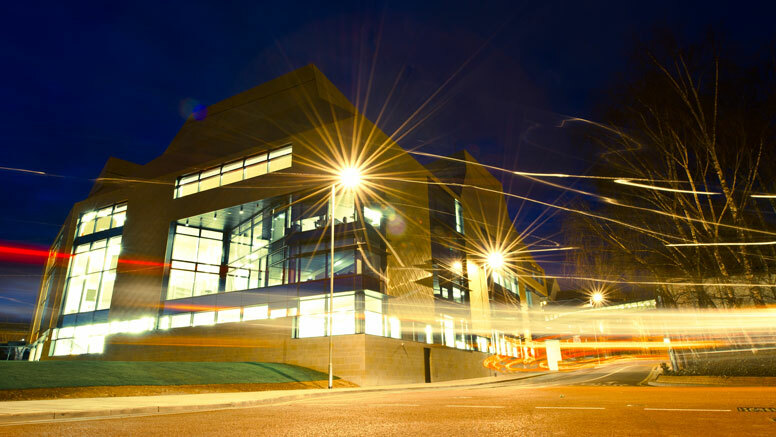 When it opened in 2012 The Hive became Europe’s first integrated public and university library, and since that time has become a beacon of success, inspiring other authorities around the world. Five years on, Laura Worsfold, Business Development Manager for The Hive, gives an update. 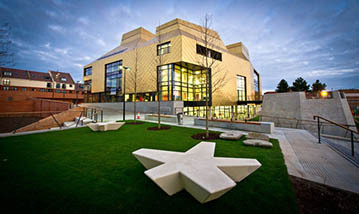 Developed jointly between the University of Worcester and Worcestershire County Council, The Hive is not just a library, bringing together books, documents, archives, digital technology and services from both organisations and housing exhibition space, a studio theatre, meeting rooms, a business centre, study areas and a café. Importantly, these resources are available to all: use of space and collections is defined by what visitors want to do, not by who they are. Public library non-fiction is therefore shelved alongside university texts; study spaces and computers are shared; and staff are not behind desks but are walking the library floors throughout the building, ensuring support and advice is always close to hand. The Hive celebrated its' 5th birthday in July 2017. This seemed an opportune moment to reflect on the original vision for the project and to review how this innovative (and still unique) model has helped us to transform both university and county library services in Worcester. Over the past 5 years, this award-winning building has attracted the attention of many prestigious visitors, not least HM The Queen who performed the official opening in July, but more importantly has really captured the imagination and hearts of the local community, as our impressive stats show. We have spent the past five years developing a full cultural, educational and participatory programme from scratch, to suit every target group from children to students to adults; researching business partnerships and collaborations to deliver a business offer; promoting core public library activities and services to meet the national library outcomes; providing access to the wealth of archives stored in our seven strong rooms deep underground; addressing the needs of our students and academics by providing resources, support and advice. All achieved whilst grappling with the demands of a wholly sustainable, highly sophisticated building, dealing with defects and teething problems and working to challenging income and efficiency targets that were not envisaged in 2012. Partnership in practice: what have we learned? Establishing a mutual starting point is paramount, as is keeping true to the original vision and principles. Managing many different expectations has been sometimes challenging, for these are high on both sides of the partnership, and there is constant pressure to achieve more with ever-decreasing budgets in the public sector and higher student demand for continuing excellence on the university side. Being "not just a library" throws up all sorts of challenges as well as benefits. We have sought to develop and cultivate our strategic partners to encourage them to work harder and smarter for us. We try to identify partners who will deliver as well as offer support. Locking into services that meet the ethos of The Hive and establishing our position as a partner in the delivery of these services has become central to advancing our core offer and working with the most vulnerable in society. We have had successes, we have had failures; what is important is to be resilient and to resist ideas and projects that have no relevance, purpose or clear outputs. Going forward we are all about adding value to our offer, growing audiences and most importantly enabling sustainability. We are learning to say no when we need to, in order to prioritise our customers' needs and we are trying to ensure adequate resources and capacity are built in to meet those needs. Employing the right people for the future is vital. Fundraising and marketing skills are key, and we invest in training and development and don’t expect library staff to take it on as an “extra” role. The need for specialist marketing and events staff became a priority as our programmes grew and the need to continue to target and grow our visitor base. We employ people-focused staff, who work extremely hard and extremely flexibly. The staff are exemplary and without them The Hive would be just another very impressive piece of architecture. A new five year Strategic Plan for The Hive is in production. The new plan builds on our many achievements, but also identifies where we want to grow our audience, expand our offer and improve our facility. There are plans to develop the exterior site - something that will add to the regeneration of this area of Worcester - and to work more closely with the LEP and Economic Development on measuring our impact on the city. We are also looking at evaluating other areas of The Hive's influence on our education providers, literacy and our social impact on customers. We aim to continue to be a front runner in terms of design, building functionality and the partnership delivery model and to continually improve our service for those who use our facility both now and in the future. This involves a healthy dose of realism combined with ambition and drive to enable us to remain relevant and current in the long term. The Hive is complex, inspiring, educating, thriving and competing to stay ahead of the game, and an example of excellent best practice. We have committed directors, staff and customers, all of whom remain focused on the goal of being the best there is. These represent just a tiny proportion of the positive feedback, comments and civic pride generated by the Hive's presence in the city. A social return on investment evaluation of The Hive. A report based on in-depth interviews with staff. Europe's first combined public and university library, where students and the public work, study and socialise side by side in this groundbreaking concept. Take a tour of The Hive and get an insight into the the visitor and student experience. Sustainability and energy efficiency at The Hive. The Hive: the Designing Libraries database record with more images, building detail and list of awards.